You have headed off to sea, and you hope your company is looking out for you. In an ideal world, you’ll have internet access, gym equipment, good food and a host of things going on onboard to relax you, to keep you happy and to make sure you can perform to the best of your ability. Sometimes though, whether it is getting access to run ashore as you finally get an opportunity for shore leave, or whether you need more serious help and support, there is a need for seafarers to access welfare. These are the key seafarer welfare organisations, and they specialise in making life better for ship’s crews. There are many more smaller entities, or more geographically focused ones – but these are the largest and most influential. The Apostleship of the Sea is an agency of the Catholic Church. It is also sometimes known as Stella Maris (Star of the Sea), and its patron is the Virgin Mary as Our Lady, Star of the Sea. Founded in Glasgow, Scotland in the early 20th century, it provides pastoral care to seafarers through chaplaincies in ports in all continents of the world. AoS provides practical and pastoral care to all seafarers, regardless of nationality, belief or race. AoS port chaplains and volunteer ship visitors welcome seafarers, offer welfare services and advice, practical help, care, and friendship. The Apostleship of the Sea in Great Britain is part of an international network known to the maritime world as Stella Maris, working in more than 311 ports served by 216 port chaplains in more than 30 countries around the world. The International Christian Maritime Association (ICMA) is a free association of 29 Christian not-for-profit organisations working for the welfare of seafarers. These twenty-eight organisations represent various Christian churches and communities. Each member organisation retains its independence and autonomy. ICMA defines seafarers as people who work in merchant shipping, fishing and on passenger ships. Through its members, ICMA currently represents more than 450 seafarers’ centres and 900 chaplains in approximately 125 countries. Promotes seafarers’ welfare worldwide and directly serves seafarers by providing a 24-hour helpline. ISWAN is the result of a merger between the International Committee on Seafarers’ Welfare (ICSW) and the International Seafarers Assistance Network (ISAN). ISWAN not only runs the SeafarerHelp call line, it also manages the Maritime Piracy Humanitarian Response Programme and key projects on mental and physical health and wellbeing. They run the Seafarer Welfare Awards, and the next prize giving is on April 23rd in Geneva – and the International Labour Organization (ILO). Their vision is to be the leader in promoting and improving the wellbeing of maritime workers worldwide. The trust is funded directly by the member unions of the ITF. Ports of Call – Seafarers have little time in ports and it is normally a busy time. The Trust ensures that services and facilities are provided in many of the world’s ports by granting towards vehicles to transport the seafarers, by providing capital costs of drop-in centres and seafarers’ centres. Horizons – Raising the standards of welfare on board ships during work and rest (leisure) times. These programmes include health, safety, nutrition, and FUN. Beyond the Blue – Initiatives targeting seafarers’ home environment, including social work, scholarships, and microfinance. SeaChange – Working as a catalyst on social normative change. This includes research, conferences, and promotion of seafarers’ welfare in the wider community. The umbrella charity for the maritime charity sector, MNWB promotes co-operation between organisations that provide welfare services to merchant seafarers and their dependents within the UK. The Board has over forty Constituent Member Charities and maintains fifteen Port Welfare Committees throughout the UK and one in Gibraltar. The Port Welfare Committee in Liverpool is the largest in the UK, and they are supporting the establishment of more, all over the world. The Mission to Seafarers provides help and support to seafarers. They work in over 200 ports in 50 countries caring for seafarers of all ranks, nationalities, and beliefs. Through their global network of chaplains, staff, and volunteers they offer practical, emotional and spiritual support to seafarers through ship visits, drop-in seafarers’ centres and a range of welfare and emergency support services. They are also the new home of the Seafarers Happiness Index. Don’t forget the Mersey Mission to Seafarers – if you are ever alongside in Liverpool, it is a real home from home! NAMMA exists to provide a network for encouragement, training, and coordination of ministries that serve port communities in North America. NAMMA is an ecumenical, Christian association of individuals and organizations involved in maritime ministry throughout North America, including the United States, Canada, Mexico and the Caribbean. Founded in 1932 as the National Group of Seamen’s Agencies, it was renamed NAMMA in 1991. Its mission is to provide a framework to support and assist port chaplains and others in their ministry to the spiritual, moral, human rights, and physical concerns of mariners and all others in the maritime community. Founded in 2002, Sailors Helpline is based in the port city of Chennai – India. The organisation serves the maritime community of India with emergency social services. Sailors’ Society is an international Christian charity working in ports across the world. Their chaplains help seafarers and their families, from all faiths to none, with welfare and practical support. They visit ships in ports and talk with seafarers. The organisation celebrates its 200 anniversary this year. Seafarers UK is a charity that has been helping people in the maritime community for 100 years, by providing vital support to seafarers in need and their families. They do this by giving grants to organisations and projects that make a real difference to people’s lives, across the Merchant Navy, Fishing Fleets, Royal Navy and Royal Marines. 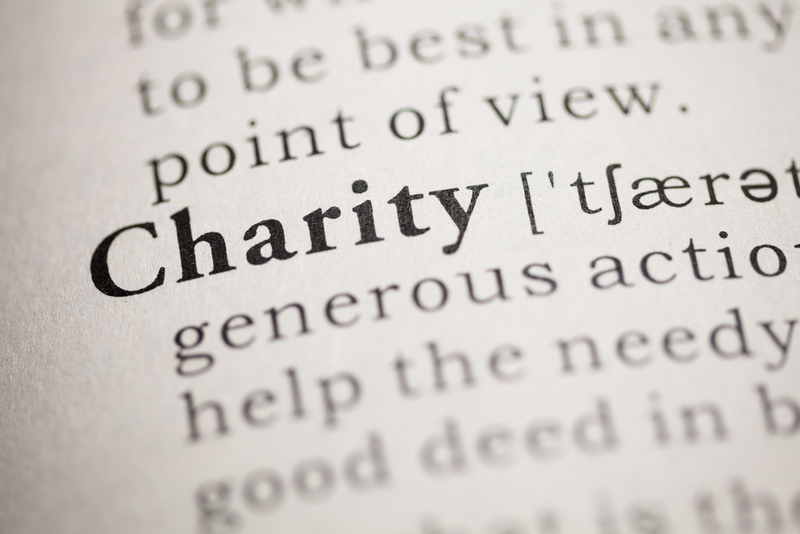 Last year they gave grants totaling £3.17 million to over 60 maritime welfare charities. The Institute offers a warm welcome at a seafarers’ center in the Port of New York and New Jersey. SCI also visits the ships that travel the inland river waterways of the United States and the Gulf of Mexico. As part of its round-the-clock ministry, SCI maintains a staff of professional chaplains with interfaith and cross-cultural backgrounds. Chaplains and volunteers assist thousands of mariners each year, offering a hand of friendship and pastoral care. They also bring with them practical services like wire transfer forms, calling cards, and cell phones to connect with loved ones at home. SCI provides a wide spectrum of support services—chaplaincy, legal aid, and continuing maritime education. Whenever a mariner connects with SCI, he or she can count on a comprehensive response. Have you been welcomed to a seafarers centre, or received books, aid or assistance? We are sure you would want to say thank you…so let us know what you think of these amazing organisations.